Dogs are curious creatures by nature. They explore their surroundings using their tongue, nose, and paws. Unfortunately, encountering less-than-friendly creatures during their explorations is far too common. Bees and wasps can be found in backyards all over the world. While humans know to leave these insects alone, dogs are blissfully unaware. Bee stings usually occur in the mouth due to the inquisitive nature of dogs. They may try to catch the insect in their mouth, resulting in a painful sting that could have potentially dangerous implications. If a dog gets stung, it's important to act fast to ensure the safety of the pup. Dogs can react a variety of different ways to a bee sting. 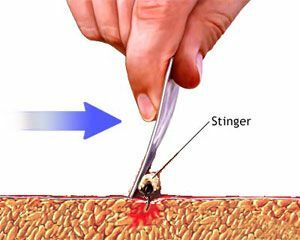 In most cases, stings aren't a huge deal. However, in other cases, it can lead to anaphylactic shock. Owners should treat every sting seriously and contact a vet straight away to allow them time to prepare for an emergency visit. In the meantime, it's always a good idea to find the stinger and assess the severity. Bees leave behind a barbed stinger that can continue to release venom. Owners should attempt to remove the barb with a credit card or fingernail. It shouldn't be squeezed with tweezers, as this only releases more venom. If the dog was stung by a wasp, they may have been stung multiple times. Wasp stings are more painful, especially in sensitive areas like the tongue or nose. Regardless of the culprit, a quick remedy of ice or baking soda and water can temporarily relieve the pain during the trip to the vet. Anaphylactic shock is a severe allergic reaction to the sting. It can affect dogs anytime, even if they have never previously shown signs of an allergic reaction. It's life threatening and can cause severe swelling that closes the dog's airways. If shock occurs, the dog needs immediate attention from a vet. Even if the dog doesn't show direct signs of shock, they could experience delayed shock. Similar symptoms will occur well after the initial sting, so it's important to monitor them regardless. There are multiple symptoms of anaphylactic shock. While swelling usually occurs even if they aren't experiencing a severe reaction, swelling beyond the initial sting site is an early sign of shock. If stung in the mouth, the swelling may spread to their entire head, causing it to inflate quickly. Another sign is vomiting. Dogs will often begin vomiting within 5 to 10 minutes of the sting. Their gums will turn pale and their bodies will become weak and lethargic. Additionally, the dog may begin to experience difficulty breathing. This indicates that anaphylaxis has begun and is starting to close the dog's airways. Depending on the severity of the reaction, a veterinarian may use a number of treatment methods. With severe cases, the dog will require IV treatments and heavy monitoring. They may use large doses of medication, including Benadryl, steroids, and antihistamines. The medication will combat the reaction while keeping the swelling down. 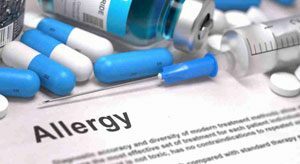 Hospitalization for anaphylactic shock often requires a few days of treatment and monitoring. Mild reactions can usually be treated with simple over-the-counter medications. Bee and wasp stings should be taken seriously. Even if the dog isn't exhibiting serious symptoms, it's a good idea to get them examined by a vet to be on the safe side. To avoid potential stings in the future, owners can make their backyard less attractive to bees and keep their dogs well trained. Unfortunately, getting rid of bees is easier said than done. However, curious pooches can stay protected from dangerous stings with the watchful eye of an attentive owner.